Perri 'Pebbles' Reid TLC Movie is Full of Lies And Ruined Me! 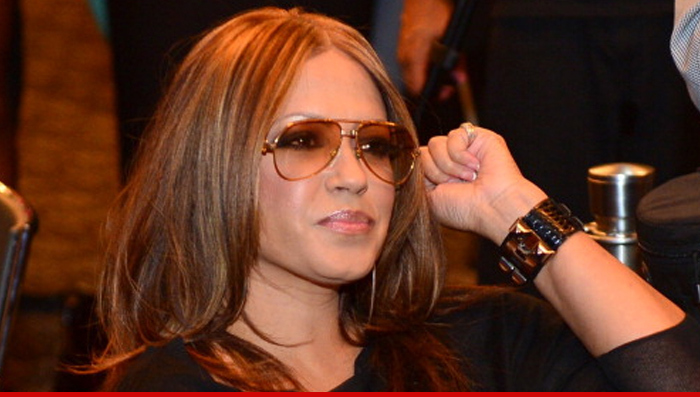 Perri 'Pebbles' Reid -- TLC Movie Is Full Of Lies ... and RUINED Me! TLC's ex-manager is a conniving, dishonest businesswoman who hoodwinked 3 innocent girls -- that's how it looked in a TV movie about the group ... and the ex-manager is now gunning for justice. Perri "Pebbles" Reid claims in a new lawsuit ... the TV flick, "CrazySexyCool: The TLC Story" assassinated her character by portraying her as a liar and a cheat, when actually she invested her time and money as TLC's manager and created one of the best-selling female groups of all time. Pebbles says the film falsely depicts her as pressuring Chilli to get an abortion ... pushing T-Boz to put the group ahead of her health ... and doling out a measly $25/wk for the girls. Reid says the film -- which first aired a year ago and several times since -- destroyed her reputation, and she's suing for $40 million.